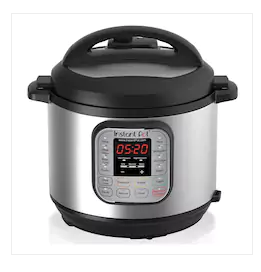 Instant Pot Duo 7-in-1 Programmable Pressure Cooker – as low as $59.49 after coupon plus get $15 in Kohl’s cash! Shark Navigator Lift-Away Deluxe Professional Bagless Vacuum – $84.99 after coupon plus get $15 in Kohl’s cash! 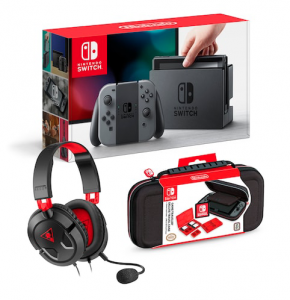 Nintendo Switch Bundle – $329.99 (*not eligible for coupon code) – earn $90 in Kohl’s cash!! 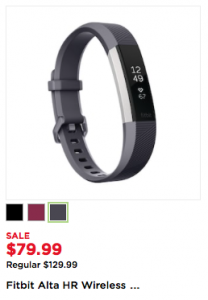 The Fitbit Alta HR Wireless Activity Tracker is just $79.99 PLUS you get $15 in Kohl’s cash! And the Fitbit VERSA is only $149.99 plus get $30 in Kohl’s cash! 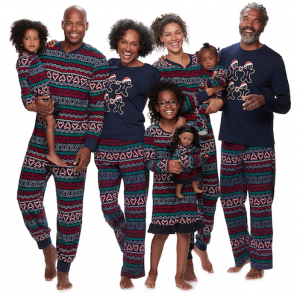 If your family likes matching Christmas PJs, they’ve got them starting as low as $8.49 shipped with coupon! 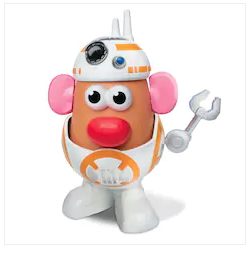 Toys are 50% off PLUS you can use the 15% off code on most items! 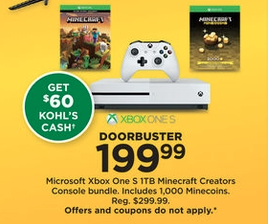 The Xbox One Minecraft Bundle is $199.99 AND you get $45 in Kohl’s cash! 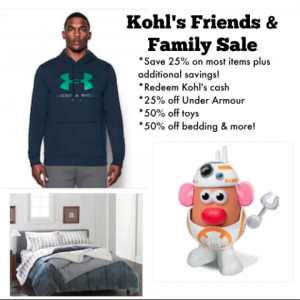 Kohl’s Cash Redemption plus 25% off Friends & Family Sale! 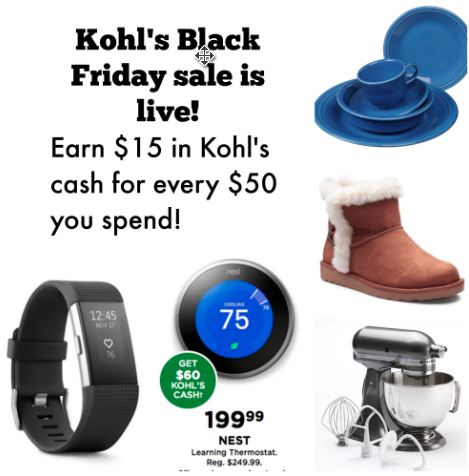 If you’ve got Kohl’s cash to redeem that you earned during the Black Friday and Cyber Monday sales, now is a perfect time to use it! You can also save 25% off during the Friends & Family sale plus you’ll earn $10 in Kohl’s cash for every $50 you spend!! Get free shipping when you spend $50 or more. The 25% off Friend and Family coupon is applied to the total remaining AFTER Kohl’s cash has been applied. The $50 for free shipping is calculated after all discounts have been applied. Avoid shipping fees by choosing in store pick up or by ordering from a kiosk in store for items that are only available online. They’ve also got deals on kitchen appliances, deals on bedding, deals on fine jewelry, deals on boots and shoes, and more! 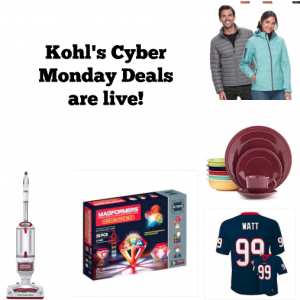 Kohl’s Cyber Monday Deals are live now! If you need a new vacuum, this is an AWESOME deal! The Shark Rotator Professional Lift-Away Vacuum is on sale for $149.99. 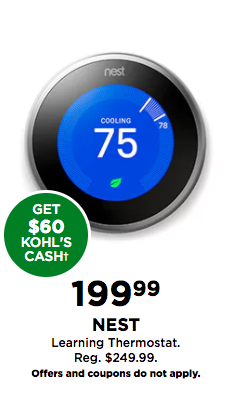 After the code BUYNOW20 it’s just $119.99 and then you’ll earn $30 in Kohl’s cash, too! 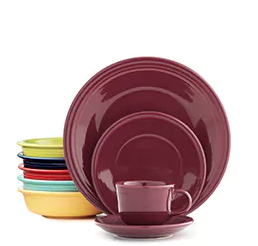 =$57.58 plus earn $15 in Kohl’s cash! It’s like paying $14.19 per place setting! 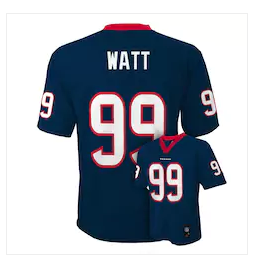 Looking for deals on NFL jerseys for your kids? Here’s an awesome one! 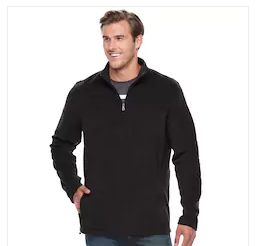 =$59.98, earn $15 in Kohl’s cash! NOTE: Sadly you can’t use a coupon on these, but it’s still a great deal! If you need clothing deals, stack these codes and take advantage of Kohl’s cash, too! 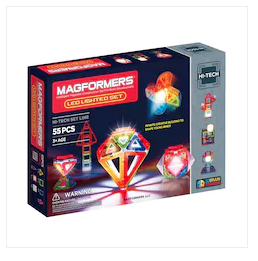 Save 20% on Magformers – if you haven’t seen these before, they’re awesome and great gifts for a variety of ages! Save even more when you use the 20% off BUYNOW20 code and you’ll earn Kohl’s cash, too! 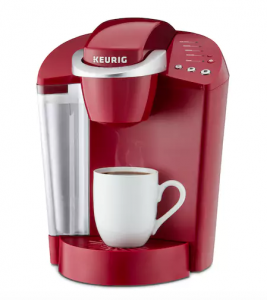 Get a Keurig for $63.99 after BUYNOW20 an then get $30 in Kohl’s cash back! 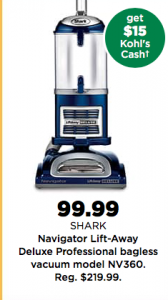 Shark Rotator Lift-Away Deal at Kohl’s! If you’re looking for deals on vacuum cleaners, there is an AWESOME deal at Kohl’s today on the Shark Rotator Lift-Away Vacuum. We just recently purchased this vacuum and we LOVE it! =$127.49, which is the cheapest I’ve seen it PLUS you get $30 in Kohl’s cash!! Please keep in mind that these deals and the promotional code end at 1 PM today!! 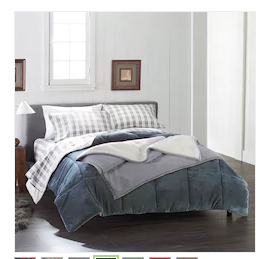 Kohl’s Black Friday Ad is live now! 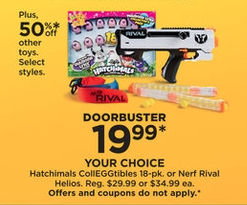 The Kohl’s Black Friday Doorbusters are live online now, too! 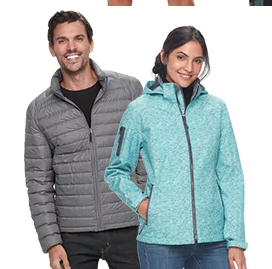 Save an additional 15% off with code SAVEBIG15, get free shipping when you spend $50 or more, and earn $15 in Kohl’s cash for every $50 you spend! The Fitbit Charge 2 and the Fitbit Alta are both on sale for $99.99. 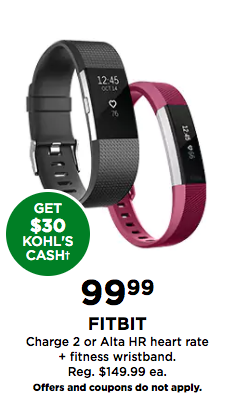 You can earn $30 in Kohl’s cash if you add a filler (their ad is totally misleading I found out and you have to be over $100 to get the $30). 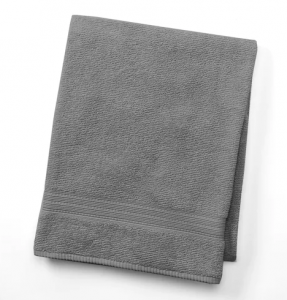 The BIG One Solid Bath Towel is also just $2.54 when you use code SAVEBIG15 at check-out! 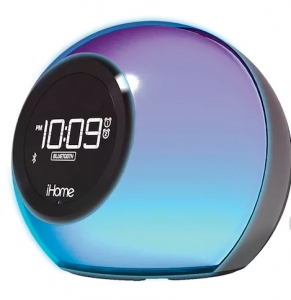 The Nest Learning Thermostat is on MY list! 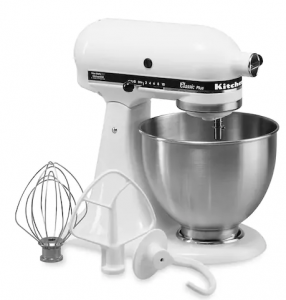 It’s on sale for $199.99 and you’ll get $60 in Kohl’s cash! 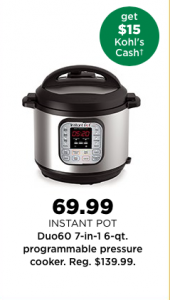 The Instant Pot Duo 7-in-1 Pressure Cooker is just $79.99! Cook frozen chicken breasts in minutes plus it works as a slow cooker, rice cooker, steamer and more! You can even use it to make yogurt! With code SAVEBIG15 it’s just $67.99! Plus you’ll earn $15 in Kohl’s cash. 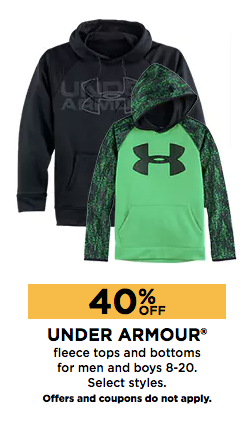 Select Under Armour is 40% off! 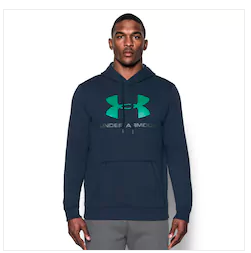 This was a big one for me because my son and husband both LOVE Under Armour. 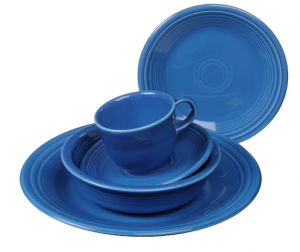 Order 5 place settings and get $30 in Kohl’s cash!! =$163.99 plus you’l earn $60 in Kohl’s cash!!! 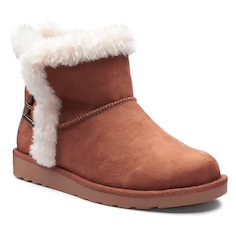 =$228.99 plus you’ll earn $75 in Kohl’s cash! Got company coming into town for the holidays? 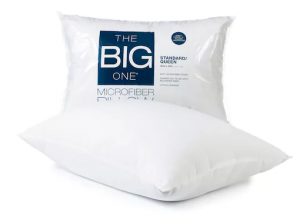 These The BIG One Microfiber Pillows are just $2.54 when you use the code SAVEBIG15 at check-out! The BIG One Solid Bath Towel is also just $2.54 when you use code SAVEBIG15 at check-out! 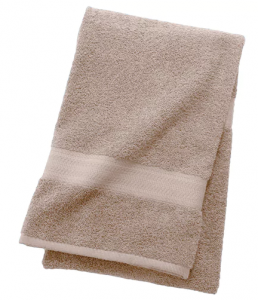 Or, spend a little bit more and get SONOMA Quick Dry bath towels for just $5.09 when you use the code SAVEBIG15 at check-out! These are my FAVORITE!! 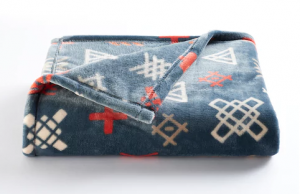 Get The Big One Super Soft Plush Throws for just $6.87 with the code SAVEBIG15 and SLICKHOME! 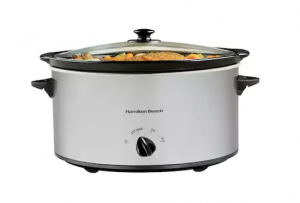 Hamilton Beach 6 Quart Slow Cooker only $16.99 with code SAVEBIG15 PLUS there’s a $12 mail in rebate! That makes this just $4.99 after discounts! This Step 2 Modern Cook Kitchen is only $50.99 with the code SAVEBIG15 and you’ll earn $15 in Kohl’s cash! !